Subaru has its roots in Japan’s Aircraft Research Laboratory all the back in 1915. The company was a major aircraft manufacturer, under several names, through World War II. The newly formed company, Fuji Heavy Industries, resulted from five of the 15 spin-off companies. The CEO wanted to get into the car manufacturing business, so he began plans for a car code-named the “P-1”. 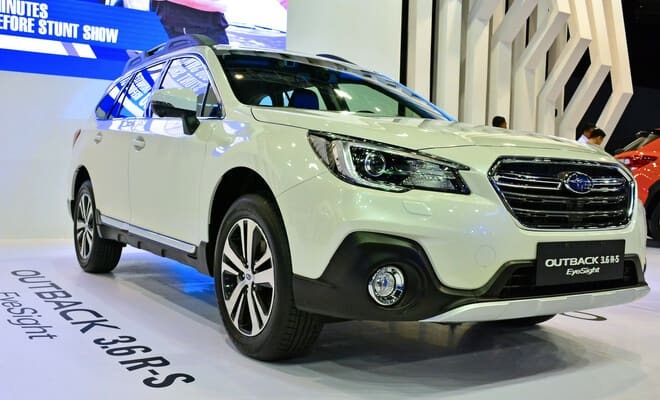 The CEO later chose the name Subaru, which is the Japanese name for the ‘Pleiades star cluster’, which remains the company’s logo. In the late 1960s, Subaru got a helping hand from Nissan in accordance with a government merger program designed to make the companies more profitable. By 1969, Subaru began offering new, very popular vehicles. Today, Subaru is substantially owned by General Motors but produces its vehicle independently. Subaru vehicles are recognized for their reliability and safety. A leader in the field of safety, the Outback is one of the US’ safest and most popular cars. Safe cars get cheaper car insurance rates, so see how much you can save with Compare.com today.